Friday, Dec. 7, 2018 | 3-5 p.m.
For parking directions and the needed voucher, click here. Jeff C. Herring, vice president, Human Resource Management, invites you to an open house at the new downtown location. 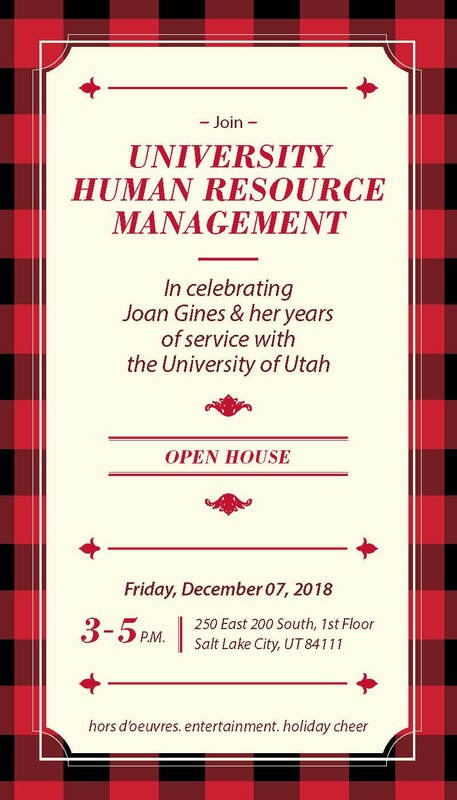 Tour the space, eat some tasty hors d’oeuvres and celebrate the holiday season with HR. And find Joan Gines to congratulate her on her retirement and thank her for her years of service to the U.